London Fine Soaps offers a wide range of luxury shower and washroom products at affordable price. 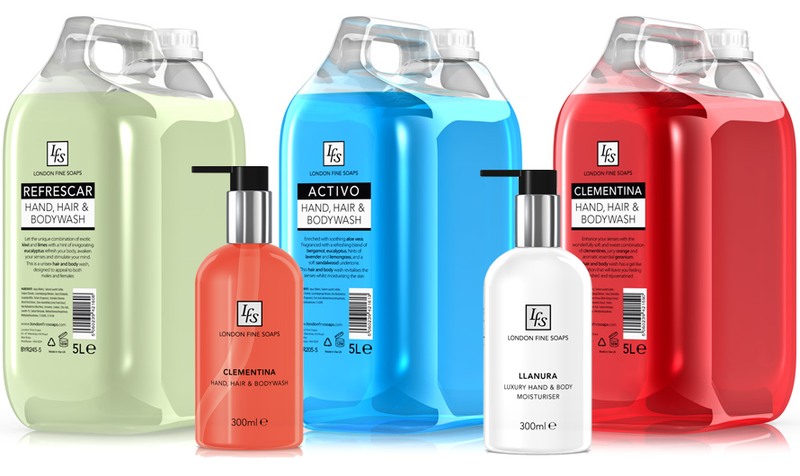 Our exclusive selection includes deluxe shower gels, premium shampoos & conditioners, highly efficient antibacterial hand soaps, indulgent hand & body moisturisers and sauna essences. Our products are available in stylish, masterfully crafted 300ml pump bottles or economical, 5L refill bulk canisters, ideal for gyms, hotels and other businesses. We also supply quality dispensing systems perfectly compatible with our products to cover the needs of every washroom.